The interwoven relationship between horses and humans is over 3,500 years old, when horses were first domesticated in central Asia. Horses have come to play a significant role as a partner to humans in recreational, competitive, and therapeutic settings. Whether you are a rider, breeder, interested in horse industry career, or just love horses, having a fundamental knowledge of horse care skills is essential to making the most of this unique partnership. 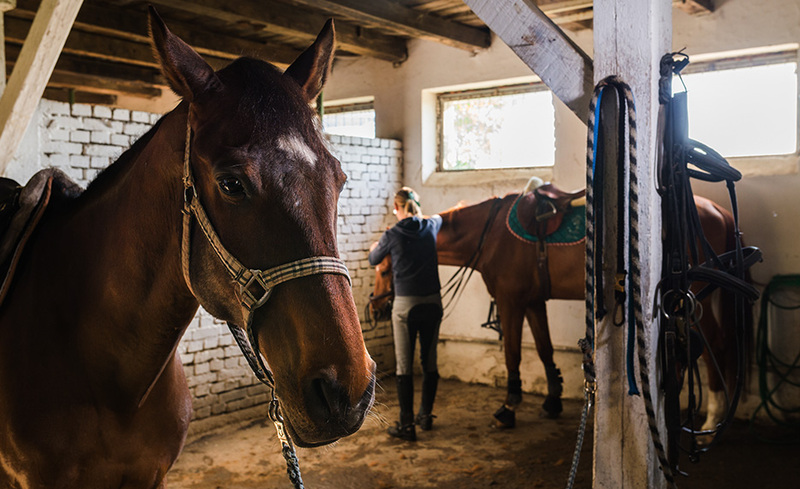 The Horse Care Management course provides a broad overview of foundational horse care topics such as selection guidelines, stable management practices, hoof and foot care, principles of exercise and conditioning, equine nutrition and herd health management, and horse breeding. Horse Care Management is a comprehensive study of equine science and the practical application of these scientific concepts. This course consists of three basic horse care modules and an elective module in Equine Behavior or Horse Breeding. With each module, you will gain hands-on experience with the set task activities. Upon completion, you will have learned several facets of horse care and horse management, including daily care, handling techniques, and training principles. A fundamental key to success in the horse industry is having an extensive knowledge of the horse. Completing this intensive course acknowledges the dedication of those interested in the well-being of horses and affirms that you have met an industry-standard level of proficiency. Browser: The latest version of Internet Explorer, Firefox, Chrome, or Safari (Google Chrome is preferred). Upon completion of this course you will receive a certificate in Horse Care Management.